One stop shop for ADA grab bars, L-shaped grab bars and unique grab bars in all finishes and styles. Many are in stock and ready to ship today. 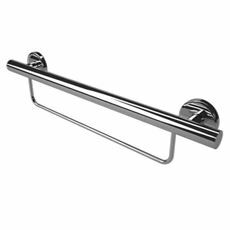 Bathroom grab bars in every style and finish for both residential and commercial applications. The addition of grab bars in the tub, by the toilet, and in transitional locations will enhance safety, and provide assistance to individuals off all ages and abilities. 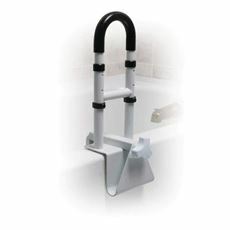 Grab bars help to stabilize & maintain balance, which may help increase bathroom safety. Stylish, colorful and affordable options found here. Bathtub Bars give a gripping surface while getting in & out of the bathtub. Great for kids, and seniors alike. Shop Now to increase bathtub safety. 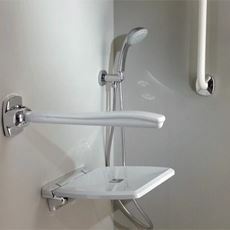 Shower Grab Bars: ADA Grab Bars, L-Shaped Grab Bars, Unique Grab Bars, & Custom Grab Bars too. 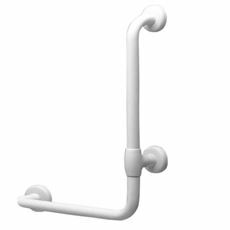 Grab Bar + Towel Holder and other bathroom safety accessories. Find affordable products for your renovation at EZ Able®.